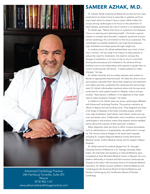 The physicians of Advanced Cardiology Practice have been providing quality cardiovascular care using the latest in diagnostic and treatment options for more than 15 years. We treat each patient with the highest level of care and respect. Together with a dedicated support staff, we work with each patient and each patient’s referring physician to properly diagnose disorders of the heart. Our approach includes listening to our patients describe their symptoms, consulting with their primary care physicians, and using a variety of diagnostic tools and techniques.Then we determine the most prudent and effective treatment program. Our main office is located at 246 Hamburg Turnpike, Wayne. Situated on the front grounds of St. Joseph’s Wayne Hospital, there is ample parking close to the entrance. The office utilizes the most modern electronic medical records system, which allows your doctor to locate your health records at any time, from any location. 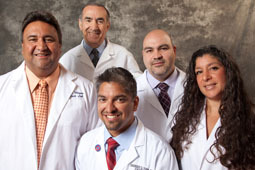 Many of our doctors have been recently recognized by other local doctors as the most trusted and exceptional physicians in Wayne, NJ. "I love the attentive care and professionalism of the staff ... Dr. Ghassemi has made me feel fantastic, something I haven't felt in a long time."